Another year and another data set! The 2017 Checklick Annual CANSail Instructor Compensation Survey is here. Read on to learn more about this years survey and you'll be able to download your copy at the bottom of this post. Don’t call it a come back, we’ve been here for years! Well two years and counting, now. We are very excited to release our new and improved survey upon the masses to poll the state of the industry. Now, we know two years of data doesn't make for an accurate prediction of trends, so you’ll have to wait till next year, but we have some really interesting comparatives from this year’s results. In this post, we'll go over our methodology, new questions, rationale, errors, and distributions. In similar fashion to last year, the polled population were registered coaches who use Checklick. Survey was open to responses the same amount of time as last year, 1 month. Not a huge increase, but traction is traction. As we continue to provide the survey and data year after year, we expect participation to increase. In 2016 we asked 8 questions on our survey, this year to gather data on some interesting phenomena within the coaching atmosphere, we added an additional 5 questions. We introduced questions dealing with the coach’s highest level achieved, whether they have achieved trained or certified status, their age, what their pay reflected, and what professional development they attended last season. This was to shed light on some area’s within the industry that we had no data on, as well as to provide a few more comparisons. All the questions were phrased simply and in a multiple-choice format to reduce survey attrition. Multiple choice options were limited to 4 responses per question for the same reason. Most questions could be directly compared to last years survey, however we included some levels that were added into the system this year (Community Instructor) as well as ones that we missed (Comp Dev and Wet Feet). Data was collected via Google Forms. Response distribution outputs that are provided by the application were used, however the more significant findings came from the raw data analysis. Questions that were directly comparable, were compared using both this year’s and last years data. With the first question (What is the highest coaching level you achieved), we noticed that there was a fair amount of more experienced (yearly) instructors teaching in the lower levels. Seeing this is a positive sign as you want more experienced coaches in the fundamental roles to provide a more holistic knowledge to your new entrants. However, we wanted to see a breakdown of highest level achieved vs the level you taught last season, just to get a sense of what levels were operating where. The other questions in the survey mostly provided new comparisons for the core data (salary, level, experience). You see this mostly in the age, trained or certified questions and professional development questions. However, with the professional development question, there was an interest in tracking that data from year to year to see if there is a correlation between professional development and increases in pay. Coaches were asked to reflect on their pay. This was an effort to collect some qualitative data on what the driving force behind their pay level was. Based on the responses, we hope to infer potential rationale behind how coaches are paid. With respect to survey attrition, it was found that our multiple-choice options are not as expansive as we would like. We lose a lot of data resolution with our experience and age questions. Next year we will close the gaps with respect to the age question as well as add more options for that question and our experience question. For questions like highest level achieved, we can’t compare that to last years data as the levels don’t translate very well. 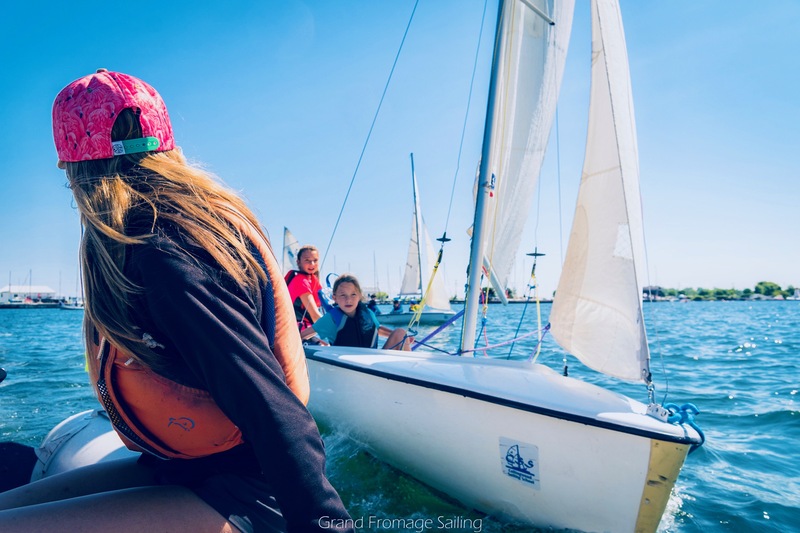 Our options for this question include modules and coach levels rather than level taught or positions at a yacht club. This will stay the same for next year to create extra data points to build a trend from. Saved for one modification, we realized that if a coach of a significantly high ranking (Learning Facilitator or Comp Dev) was asked what their highest level achieved was, they would have to chose one level over the other. Next year we will look at how to reconcile this and have both options be reflected in the data. We realized after the fact that there are no considerations for possible other streams of revenue for coaches asked on this survey. Effectively, we want to know if clubs are offering additional adult lessons as a way for coaches to make more money and if this plays role in the desire to work at that club or acquire that position. Straight out of the gate, you’ll be able to see that the survey is still quite bottom heavy, meaning we have more CANSail 1/2 instructors reporting than all the other level combined. The CANSail 1/2 numbers slightly decreased from 2016 and the CANSail 3/4 numbers slightly increased. This could be from coaches upgrading their levels, which has shown an increase in pay based on higher qualifications. For 2017, we did see increased reporting from Head instructors and a decrease in CANSail 5/6 and Race Coach levels. Again, this could potentially be from Race Coaches moving into Head Instructing or leaving the sailing industry all together, as they would be skewed towards university age. We will dive more into this when we analyze these levels compared to age in our next update. New in 2017, we wanted to see how the CANSail level system worked in practicality. Asking coaches what their highest level achieved was, allowed us to compare what levels were gained versus what was actually taught. Over 75% of coaches surveyed on their highest level fell into CANSail 1/2 or 3/4. It will be interesting to see how this breaks down when comparing level achieved vs level taught. In surveying coaches on whether or not they were trained or certified will give us an idea of how effective our system is working on a per level basis. From the distributions, it seems close to 70% of coaches are certified. We will get more in depth with this in the next update. When considering experience, there was a marked change from 2016, where approx. 31% of surveyed coaches had one year of experience. 26% had over 5 years of experience. 2017 saw a massive increase in reporting from coaches with 5 or more years of experience, at 36%. However, comparing that to our first and second year coaches, we didn’t see the numbers in last years sample move up to 2nd year coaches (2016 – 31% 1st year coaches, 2017 – 18.5% 1st year coaches and 17.3% 2nd year coaches). We are either seeing coaches exit the industry after their first year or we aren’t hitting the same people with the survey. In terms of pay distribution, partly due to the fact that we had more older/more experienced coaches responding, we see a much more even distribution between the pay categories. However, the bottom is also heavy here with 40% of coaches reporting they were paid at the $450 - $550 category. Looking at the questions dealing with compensation value add ins, lunch is dealt with relatively the same as in 2016. There was a small increase to incorporating lunch as a free job benefit. The distributions for instructor dues was almost identical to 2016, slight increase to having clubs pay for their coaches dues. Payment for instructor courses stayed the same as well, slight increase to partial payments from club. Finally, with prerequisites, we see clubs increasing their partial coverage in this area. Overall, the 2017 survey was a success! We will continue to revise the survey to improve our data collection. Let us know what you think about our survey via the comments at the bottom of this post. This was just the overview of the distributions. We have some really neat analysis and insights of this data coming up in the next post. Stay tuned and download your copy of the survey results below and see how they compare to the 2016 results. Oh and last but not least, thank you, thank you, thank you to all that contributed and Sail Canada for their support!